When George Lowrance Hodge attended Southern Arkansas University (SSC) in 1952, he received a $25 per semester scholarship because he had been the salutatorian of his Lewisville High School graduating class. That small scholarship really helped with school expenses, and he remembers students who did not have assistance and had to work hard in the cafeteria, bookstore or other jobs to earn enough to attend college. Although he spent only a year at SAU, the tight-knit atmosphere left a positive impression on him. 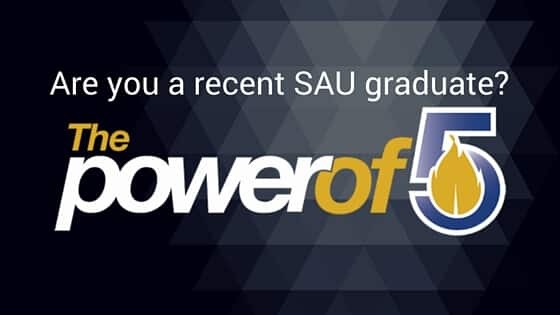 ”SAU gave me an excellent educational foundation and was a bridge between high school and university life. I had excellent instructors,” Lowrance Hodge said. After leaving SAU, Lowrance Hodge attended the University of Texas on an NROTC scholarship, and after his sophomore year there, served four years on active duty as a pilot in the U.S. Navy. With the military experience under his belt, he was eligible for the G.I. Bill and finished his undergraduate Industrial Engineering degree at the University of Arkansas in Fayetteville. He later went on to receive his master’s degree from Oklahoma State University. 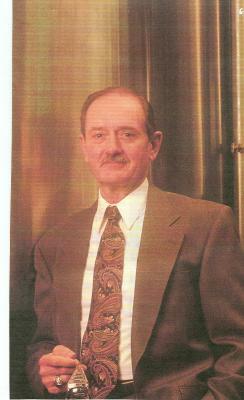 Lowrance Hodge retired in 1997 as a senior vice president of Mary Kay Inc. in Dallas. Since then he keeps active by volunteering for an organization called the Service Corp of Retired Executives (SCORE), a group sponsored by the Small Business Association. This organization provides free counseling to people who are trying to establish or improve a new business.